There was an interesting development at Wednesday’s press conference at FAI HQ, as Martin O’Neill discussed the Michael Obafemi will-he-won’t-he allegiance issue. 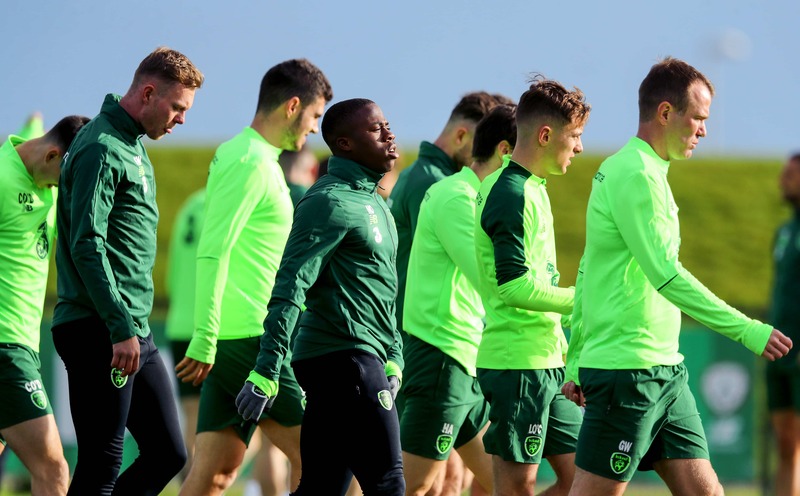 At first, the Republic of Ireland manager was insistent that, having spoken with Michael Obafemi, the teenager had yet to make a decision on his international future, and that an appearance in the competitive fixture against Denmark on Monday was highly unlikely. “I haven’t spoken to Michael (Obafemi’s) parents but I’ve spoken to him. I think he’s enjoyed the training, he’s been really good and I think he’s done really well in training, settled in nicely. According to O’Neill, Obafemi was still on the international fence and would take time to make his decision. “That was my point to him,” continued O’Neill. “So and, as I said a couple of days ago if he rushed in and said ‘this is exactly what I want to do’ I’d be fine with it but that’s a different issue. Michael Obafemi would not be playing against Denmark, and thus the media circus surrounding the promising youngster’s international future would expectedly continue to swell. However, when pressed by this journalist, the mystery surrounding the O’Neill-Obafemi communication deepened. Earlier this week, a source close to the aforementioned Southampton youngster confirmed to me that Obafemi’s intentions were clear; he wants to play for Ireland. I have been privy to text messages confirming so and there is no indication that Obafemi wants to line out for any other country. And for those wondering, given the emoji-riddled world we now live in, Obafemi used green shamrocks, not a red rose, nor a flying eagle for that matter. 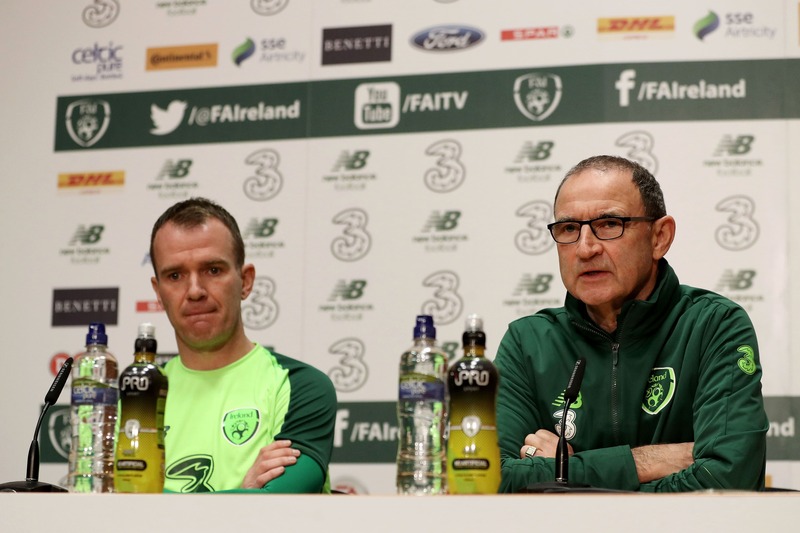 I pressed the Ireland manager on the issue at Wednesday’s press conference, where O’Neill appeared surprised by the recent development. Here is the transcript from my conversation with the Republic of Ireland manager at Wednesday’s press conference. If he has total commitment he didn’t say that to me nor to be fair to me I didn’t press him on it because I haven’t had the opportunity to speak to his family but n0, you’re ahead of the game you tell me. While the offer of lunch was appealing, one particular piece of the exchange was particularly interesting. Earlier in the press conference, O’Neill contended that Obafemi had yet to make a decision on his international future. However, one can infer from the following statement that perhaps O’Neill has not even asked Obafemi what his intentions are. This is quite simply, bizarre. It is hard to believe that any other international manager would allow a player to turn up for training, wear the country’s crest with pride, and not even dare to ask whether he is committed to the cause. Declan Rice badge-kissing infused experiences aside, all we know regarding Michael Obafemi is that he is a promising young talent that has turned up for Ireland training, given his all in the sessions, and hopes to make his Republic of Ireland senior debut on Thursday. Never once has he done anything that would suggest the contrary. 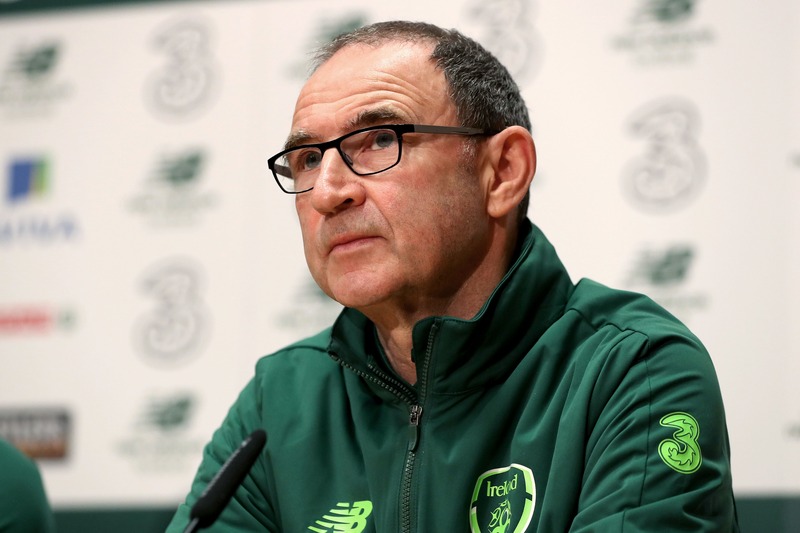 If it transpires that Martin O’Neill has not even asked the 18-year-old himself to declare for Ireland, then Obafemi’s international bow could unnecessarily be soured by the false uncertainty surrounding his commitment to the Boys In Green, and for that, the Republic of Ireland manager must be held accountable. As I write this, the usual vitriol and nonsensical online abuse has begun to navigate its idiotic way to the Twitter account of the young footballer who has done nothing wrong, only try his best to make his international debut. We understand that you may not want to pressure Michael Obafemi into a decision, but your failure to do so has allowed this fester into a major issue that Ireland, and Michael himself, certainly do not need.